The former of Enspire Academy is Vietedutech Foreign language center, established in 2006 and operated by the leading experts of the Hanoi Foreign Language University. 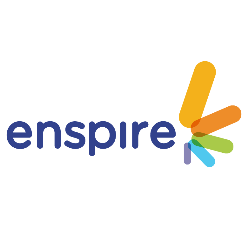 As a leading English researching and teaching provider for Vietnamese children for over the past 10 years, Enspire has been proudly inspiring thoundsands of Vietnamese children at almost all kindergartens and primary schools in Hanoi and Hai Phong. English programs at Enspire for children are always created and designed based on the basis of the combination of practical results as well as the scientific researches of leading teachers and researchers in the teaching English field. The evaluation and development of the English program for each level is carefully organized in accordance with the process of implementing the teaching programs of Hanoi University. As the leading company in using advanced, modern software to teach English to children, Enspire always innovates and improves teaching and learning methods. Each lecture is dedicated to Enspire’s enthusiastic and experienced teachers. We have researched and selected the necessary and sufficient elements, integrated scholarly knowledge with common scientific knowledge and creative arts to build English learning programs at Enspire Academy, 80A Lang Ha. These English language programs include a variety of interesting, fun activities that are in line with the student’s physiology in order to promote their curiosity, exploration, creativity, and passion for learning English. We are aiming to make Enspire Academy become indispensable source of inspiration for Vietnamese students to learn English happily and successfully.